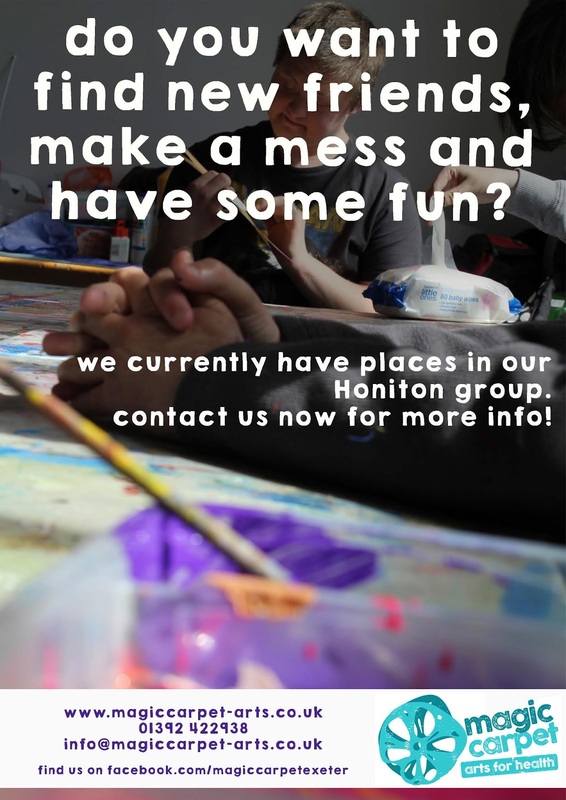 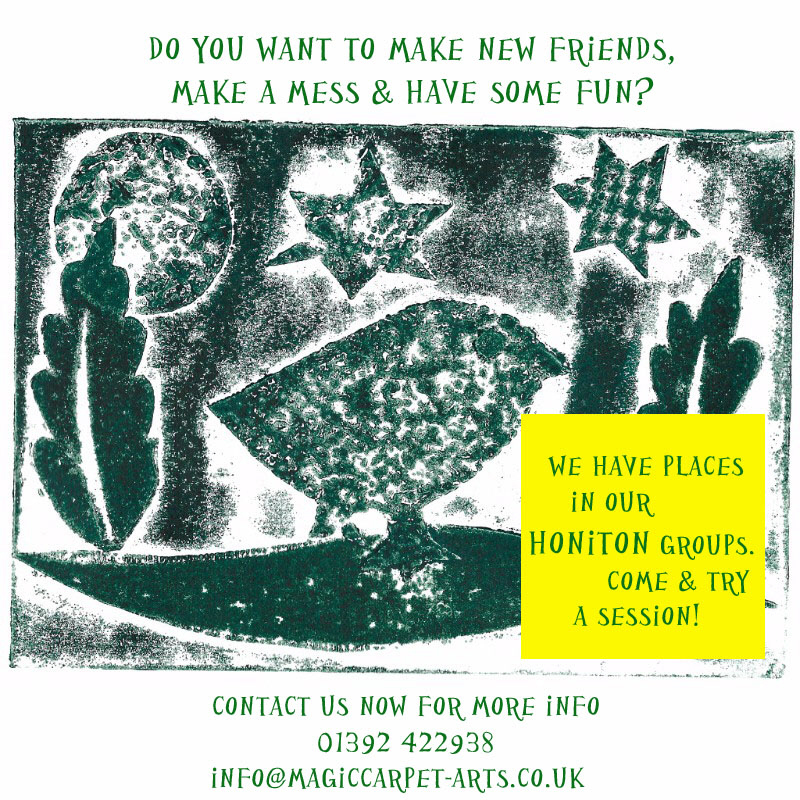 We have spaces in our Exeter and Honiton arts and crafts groups. 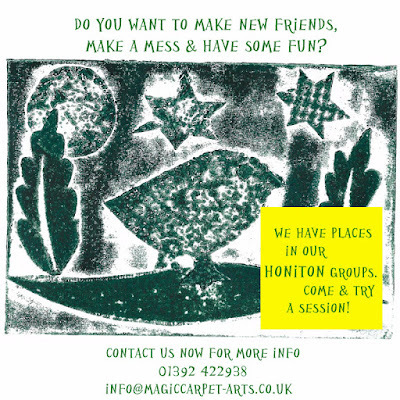 Magic Carpet sessions are a fun and sociable space for exploration of materials and processes for people with learning disabilities. 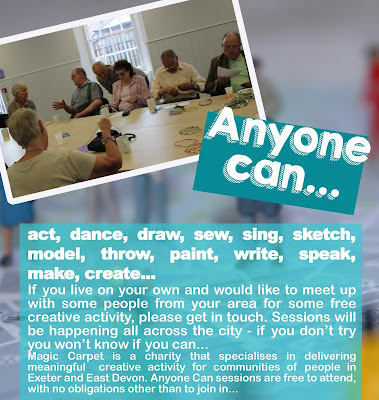 We offer FREE taster sessions.